If you're looking for caterers, bakers, specialty foods, mobile food vendors, meal delivery or culinary classes... look no further! **All businesses listed below are permitted/licensed by the Amesbury Board of Health and, where applicable, by the Massachusetts Food Protection Program, DPH. Big Rig BBQ - Website coming soon! ​Yes, it's a "BIG RIG" mobile BBQ bringing deliciousness to you! Contact Pitmaster, Clay LaForte at bigrigbbq23@gmail.com or 978.992.1438. Boston Hill Barbecue - Website coming soon! Boston Hill Barbecue is a smokin', mobile BBQ trailer with a pit master who takes pride in bringing an array of delicious, fabulous food to your public or private event. We're here to help you celebrate those memorable life moments.! Brace Gourmet - Website & Details Coming Soon! Charney's Chuck Wagon - Website & Details Coming Soon! Chefs John and Dan Martin bring sensational events to life. "Transforming your Dream Event into a Delicious Reality" is not just our tag line - it's who we are; our people, passion, expertise, energy and experience - and what drives us every day. Whether you are planning a black-tie gala, an intimate wedding or a fun party, Essential Chefs Catering creatively and innovatively infuse style into any event. Join us for our interactive cooking classes, too! Fat Belly provides the ultimate BBQ experience. Have truck, will travel... whether it's a private event, farmers' market or festival. Our meats are smoked low and slow over local apple/oak wood and every dish is made from scratch using only the finest, freshest ingredients. We invite you to experience the taste of authentic BBQ! Flor de Cafe' - Details Coming Soon! ​or private/public event in the greater Amesbury area. ​Website and more details coming soon! Whether you are planning meals for your loved ones throughout the week or throwing an intimate dinner party for friends, Chef Stephen Deffley can customize, shop for and prepare cuisine that is both healthy and full of flavor. Your meal can even be paired with the perfect wine if you desire! Created with passion and served with pride, our dishes are sure to impress your guests or your family. And best of all, when you’re finished eating, your kitchen will have been left clean. Chef Kristofer Harding is a NH native who has embraced the greater Amesbury community. Harding Catering is dedicated to making your special event delectably perfect and easy. We provide delicious fresh, quality food experiences for a competitive and reasonable price in Southern NH and Massachusetts. Please inquire for menu options, planning and rates. Drop off or full-service available. KAHA is a small coffee roasting business run by a husband and wife team out of Amesbury, MA. We focus on small batch specialty coffee and hope that by providing the best product to our customers it will inspire them to slow down, sip, savor and ultimately bring more awareness to their daily coffee ritual. We believe in working hard and living with intention, laughing a lot and of course really good coffee. Available for retail or wholesale. 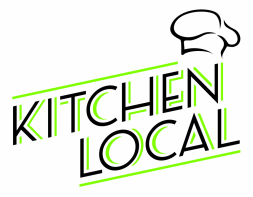 Kitchen to Aisle specializes in customized catering and event planning. The dynamic duo of Chef Nicholas Peters Bond (yes, a Hell's Kitchen 2x finalist!) and event planner "extraordinaire", Meghann Tassinari, knows how to make each event that much more personal by customizing delectable menus, working within a client’s budget and making sure each detail is extra special. in salads and more. Use the brine for dressings, marinades, and martini's. Our Sriraccha Sauce, as well as our Mary Mud (for a delightful Bloody Mary!) is the perfect blend of spices and heat. Merrimack Valley Foods - Details coming soon! The Peddling Caffé will help you create the perfect beverage break for your event. Be it a wedding, corporate function or special occasion, we can provide espresso, cold brew coffee, nitro brew coffee, Kombucha Tea, cold teas and more. And, we do it all from our unique vintage trikes. Why not liven up your event with a delectable jolt! Classic American-style baking that makes everyone smile, no matter if you're 2 or 102! I want to give you the joy and happiness that a yummy treat can offer. No fussy flavors or combinations, just honest baking from scratch. Classic favorites for everyone in our community. Traditional baking, as well as gluten-free and vegan interpretations. All natural, no funny stuff! Polish Prince Pierogi serves handcrafted, gourmet pierogi made with owner Doug Drozdowski’s grandmother's 100-year-old secret dough recipe from Krakow, Poland. Our pierogi features traditional Polish fillings as well as modern creations, each uniquely pinched by hand. You will find our mobile pierogi trailer at the Wilmington Farmers Market, as well as other public and private venues. Sacred Cod - food truck. Details coming soon! ​Fresh. Local. Salsa! Salt Island Gourmet's salsa boasts a veritable "perfect storm" of ingredients. ​Succulent tomatoes, vibrant cilantro, and crisp scallions are chopped fresh every day to ensure optimal quality and flavor and is the perfect accompaniment to any tailgate, family gathering, or cookout. And on the off chance you have any leftover, it makes a great addition to a healthy breakfast or a delicious grilled cheese. Be adventurous and enjoy! Our "bakery" specializes in creating vegan, custom-made cakes and baked goods for any occasion that taste just as as beautiful as they look! We use locally- sourced, organic produce whenever possible and are eco-conscious. Owner/Baker, Shari Davey, is dedicated to making the most delicious tasting vegan cakes in the area and wants to show you that cruelty-free baking is incredibly delicious. ​ to win, plan to win! Stone Oven Catering is one of the oldest mobile pizza caterers in the Seacoast area! We are a small, service-oriented catering company. We don't make deli platters, sandwiches or fancy sit-down meals. We specialize in creating handcrafted, wood-fired pizzas, custom-made to your guests' liking. You start the party, we make it an event to remember! The Baklava Project is committed to sharing its health-conscious take of baklava without ever compromising taste! We reconsctructed this nutty dessert by deconstructing it through the elimination of honey and topping it with what we define as our "self-made nectar": rosewater; a touch of sugar; aromatic spices and some orange zest. This scrumptious dessert is available in Pistachio, Pecan or Walnut.... and, is Vegan. Treat your taste buds! An improvement to pizza? Who knew! Piegato™ Pizza is an old-world, fun-to-eat favorite. It's a carefully crafted, wholesome quality hand-held pizza that delivers a consistent, delicious and perfectly crispy crust with a new on-the-go convenience. Piegato™, which means "folded" in Italian, is Laura Crown Company's US introduction Southern Italy. Available by special order. Good 'ole comfort food by Chef Bob typically available at Newburyport street festivals! Burgers, steak tips, chowder in a bread bowl.... and more! ​The Urban Epicurean is actually a one-man band who will bring his "pop up pizzeria" equipment anywhere, from Boston to southern Maine & New Hampshire (and everywhere in between!). Any time of year ... fall, winter, spring, and summer. My pizza party is as simple as a backyard bbq. Just me, my portable stone ovens and only the freshest pizza ingredients. It's all safely set up on my pizza prep station in any small space anywhere outdoors. (rain or shine!)" From celebrations for few to many, Chef Krisztina Perron provides delicious foods, impeccable service, and fabulous presentations. With our infinite passion for food, cooking and entertaining we will capture your vision and turn it into a reality. And, we like to share our foodie passion so much, we offer interactive, themed cooking classes so that you can create and enjoy along with us in a commercial chef's kitchen. and catering companies in Massachusetts and New Hampshire. classic dishes. He works personally with every client.